Here we have a fun infographic from the people at the website called Easy Canvas Prints that provides information about the history of the camera. This timeline infographic starts off in 1500 when a pinhole was used to project an inverse image when light passed through the aperture and goes all the way though to the year 2000 when the very 1st camera phone was introduced. 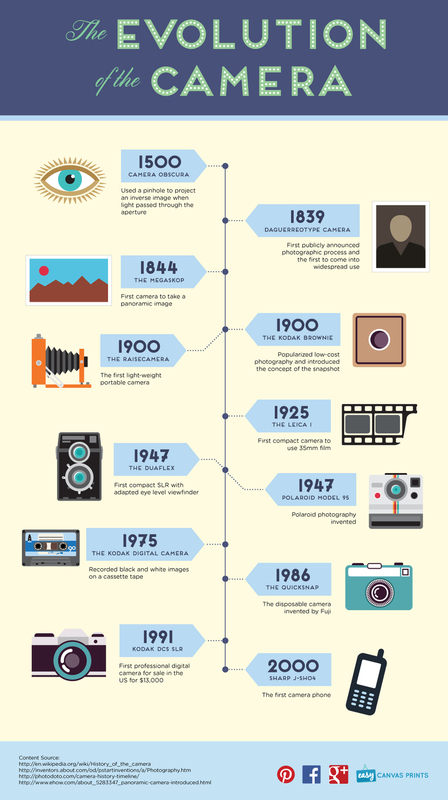 We hope that you enjoy this camera evolution infographic and please share with your friends on Facebook, Twitter, Google+ etc.